From Hans Morgenthau to Kenneth Waltz, via Carl Schmitt, the writings of Thomas Hobbes have played a key role in shaping Realist understandings of the international system. Less appraised are the uncanny similarities that exist between his political ontology and that of Jacques Lacan. In this paper I return to this fount of Realism to I show how these two worlds – that of the early modern thinker of the post-modern psychoanalyst – reveal ontologies of dependence and relationality. Specifically, I show that the figure of the sovereign, the linchpin of Hobbes’ political order, represents none other than Lacan’s Other. The implications are significant, as, in the light of these resemblances, the conclusions realists have drawn with regards to the possibilities of states’ acting in that system appear a misreading of Hobbes. Underpinning Hobbes’s thought is in fact a sense of the fundamental dependence between the self and the Other that rule out the type of survivalist behavior that they describe and prescribe. 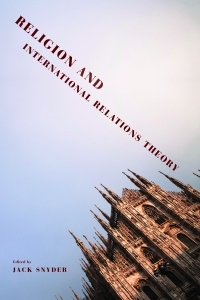 Scholars of international relations and law have been writing about international society for a while now, but historians, particularly in the United States, have been slow to adopt this term or wrestle with its implications. Though the field of international history has been experiencing a revival in the United States, with new work taking the field in exciting new directions, innovation has been coupled with disagreement and confusion about the changing shape of the field and its spatial, temporal, thematic, and methodological scope. This paper summarizes the debate about the state and direction of the field over the last several decades, outlines the state of the field today, and then attempts to show how reconceiving the field as the history of international society could help bring the numerous threads of recent developments into a coherent and common framework. Human rights are formally universal, applying equally to all human beings on the planet. The Universal Declaration of Human Rights is also an attempt to make human rights universal in content, stipulating that they must apply to “Everyone…without distinction of any kind” (Article 2). Increasingly too, the principle of universal rights is becoming legal as well as moral, as international human rights law becomes more detailed and dense, especially through judgements made in courts, national and international. At the same time, however, the world continues to be organised into states that are territorially bounded and historically associated with struggles for democracy linked to sovereignty and nationalism. As they are legalised, human rights are increasingly positioned as ‘intermestic rights’, ‘in between’ national and international law. In practice (in part as a function of the proliferation of sites at which it is decided) law is uncertain and unpredictable with regard to enforcing human rights. Realising human rights ideals in practice will always be controversial; realising such ideals will never become simply a matter of ensuring the rule of law.